Quamoclit plants are half hardy perennial vines that may reach from 3 to 6 metres in height. Recently members of the genus have been reclassifed into Ipomoea. E.g., Quamoclit vulgaris is now called Ipomoea Quamoclit. Other former members include Quamoclit pennata and Quamoclit coccinea. They bloom in the mornings and evenings from summer to autumn, they carry tubular shaped flowers of orange, yellow or red. 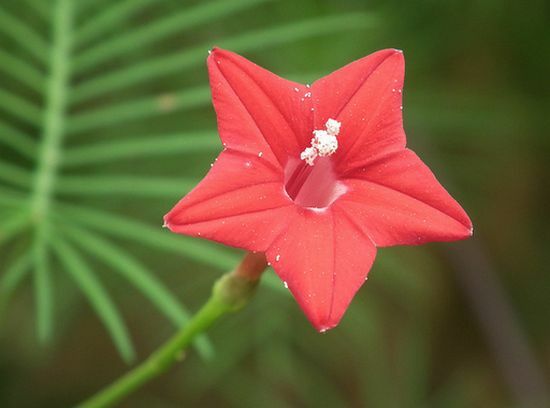 Some common names for Quamoclit include Star Ipomoea, Spanish Flag, Cypress vine, Cardinal climber and Scarlet Star Glory. Quamoclit vulgaris/Ipomoea Quamoclit (Cypress vine) by Rameshng. Ipomoea Quamoclit by Mike Epp. 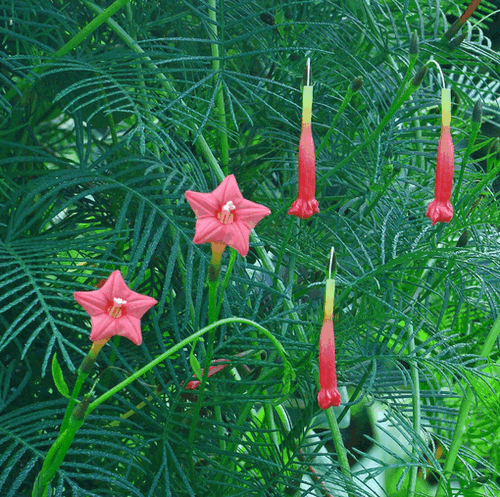 If growing Star Ipomoea, Cypress Vine (Ipomoea Quamoclit), or other members of the Quamoclit plant genus outdoors from the off then the seeds should be sown at a depth of 3 mm, and a spacing of 40 to 90 cm in the middle of spring, a couple of weeks after the last chance of frost. As Star Ipomoea are climbing vines they should be given a trellis or similar structure to grow upon. Quamoclit species are able to grow in both sunny or partially shaded conditions and prefer a light and sandy soil. 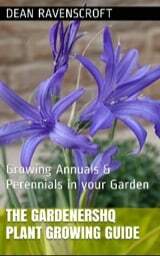 If first growing Star Ipomoea or similar species indoors then chip the seeds and soak for a day in warm water. The Ipomoea / Quamoclit seeds should then be germinated at 18 to 22 degrees centigrade; this should take from one to three weeks. Transplant the seedlings outdoors in mid spring. It is easy to look after Quamoclit (now Ipomoea Quamoclit) species such as Star Ipomoea and Cardinal climbers; they require something to grow upon, and should not be over fed.